Remember how I mentioned that Gabbie and I like to dress alike? 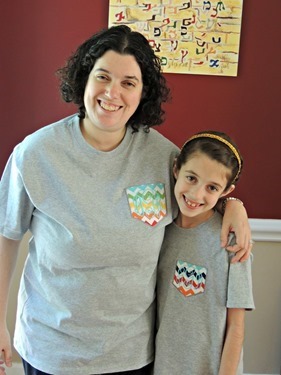 Well, we were lucky enough to review matching monogrammed chevron pocket t-shirts from Tootie Lou Designs! According to the shop page, Beth, the owner, is a stay at home mom with two beautiful daughters. 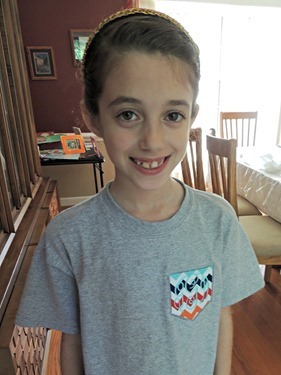 She has always enjoyed scrapbooking and other various crafts. She makes invitations for events, personalized diaper bag/luggage tags, wall hangings, vinyl creations and embroidered/applique gifts. 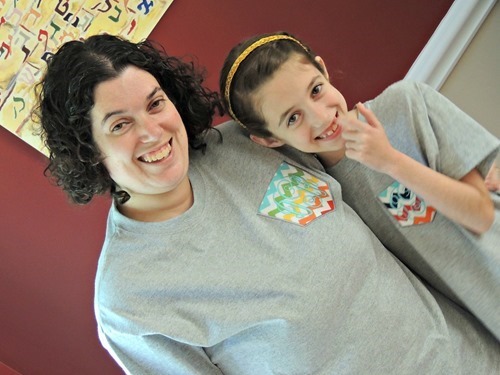 The shirts are available in any color and there are a few chevron color options. 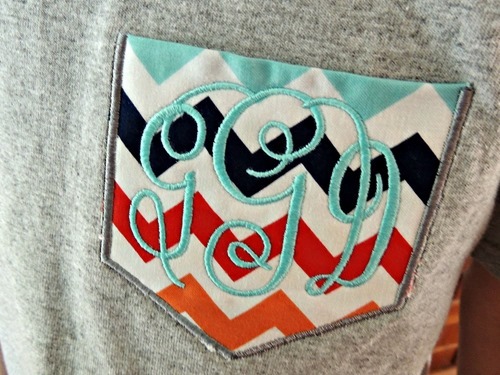 I chose grey shirts and rainbow chevron pockets with a light blue monogram stitch color. The lovely Beth is offering my readers 10% off everything in her Etsy shop! Just enter the code knitgnome10! Also, visit Tootie Lou Designs on Facebook!